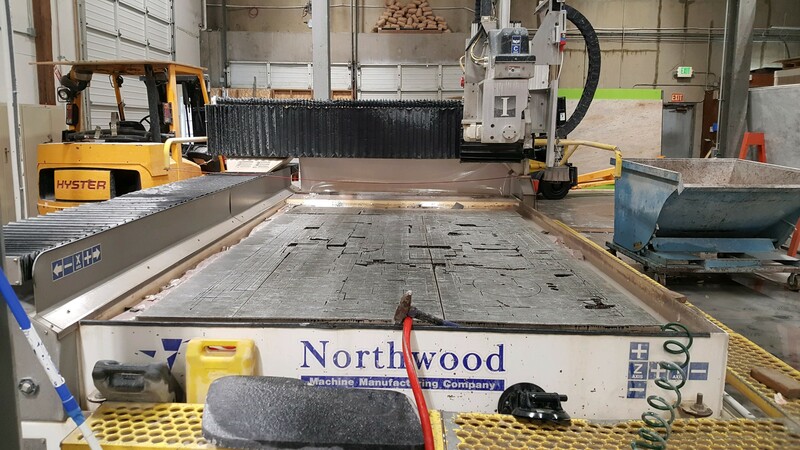 The Northwood SawJet comes with a 20 HP Saccardo motor and 16 blade for cutting marble, granite, and limestone. 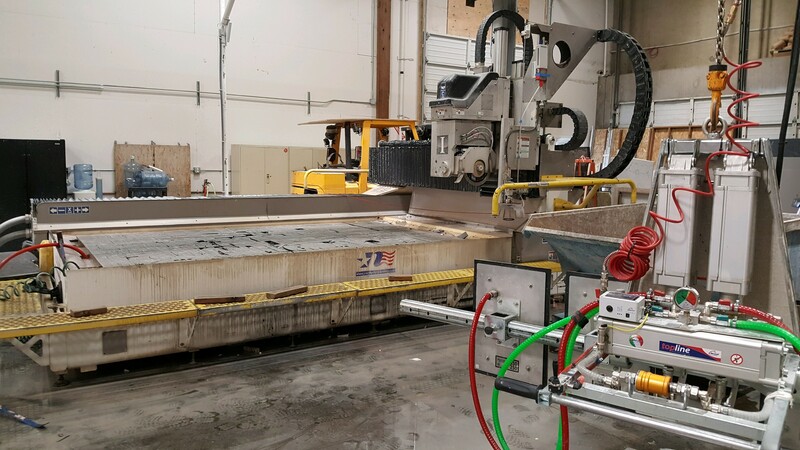 The saw is equipped with Smart Saw Feed Function that uses dynamic force feedback to continuously vary cutting speeds, this allows for improved efficiency when cutting quartz and Dektom(tm) stone products. 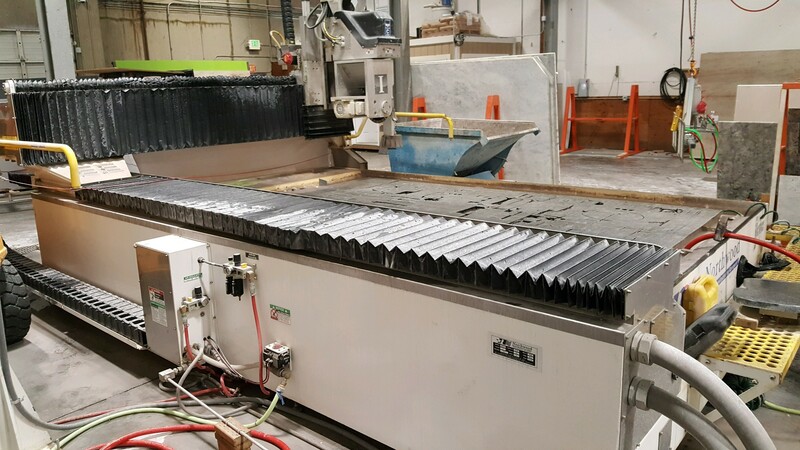 Mitering capabilities through the Wittenstein gearbox and Fanuc drive allow up to 48 degrees of motion.